2. 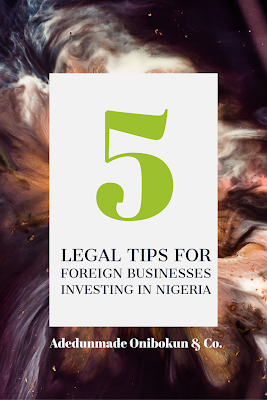 Penalty for foreign companies who fail to comply with the directive above shall be guilty of an offence and liable to conviction to a fine and every officer or agent of the company who permits the default shall also be liable to a fine. 3. Foreign companies may apply to the President for exemption via the Secretary to the Govt of the Federation. 4. Exemptions are granted on the basis that the company was invited to Nigeria by the Federal Govt or International Organization to carry out a specific project. 5. Such exempted company shall have the status of an unregistered company.